Learn more: go to the official website. Versatile – use these innovative needles for sub-cut, IM-inj’s, Phlebotomy etc. 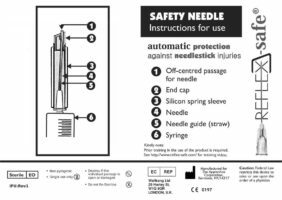 Not all safety needles are the same! Senior industrial hygienist at the U.S. Department of Labor OSHA (specializing in national regulatory enforcement issues) OSHA National Bloodborne Pathogens Coordinator.